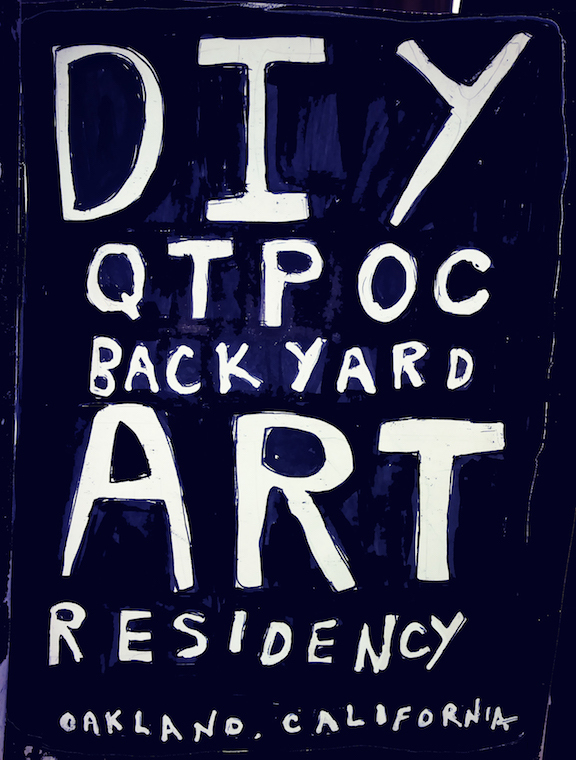 In the spirit of DIY Art School and anti-capitalist space sharing, Im opening up my secret garden work space to QTPOC artists for short term self directed DIY residencies. If you are looking for a quiet magical spot to focus your work this could be for you! Now accepting proposals for (1-30 days) for May and July. 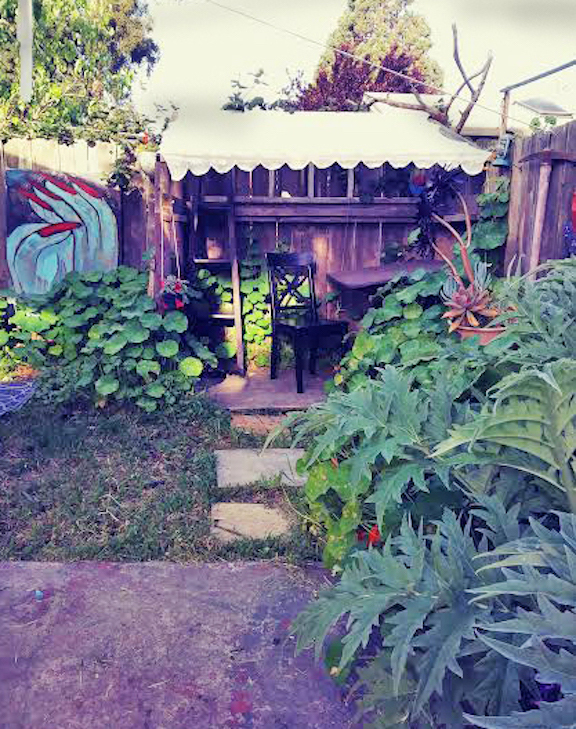 Offering day time access to my backyard, mini- studio workspace, outside storage, outside drafting and work tables, basic hand tools, wifi. Accessibility: Access to backyard studio is through a very uneven narrow path, with one steep stair. Not wheelchair accessible. Space is not scent free, limited use of toxic materials (spraypaint, paint thinners). North Oakland, 1 mile from Ashby and Macarthur Bart.